A decade and a half ago Dave and I launched Trailspace because we thought it would be useful and fun to help fellow hikers and climbers share reviews of their backcountry gear. Plus, when we're not outside, some of us actually like organizing databases in our spare time. Thanks to you, our more than 30,000 community members, together we've helped millions of hikers, climbers, paddlers, backcountry skiers, and trail runners find and share the best outdoor gear. A huge and sincere thanks to each of you who've taken the time to contribute one, or many, of our 32,000 outdoor gear reviews on the site. Whether you've been part of Trailspace since its beginning or discovered us today (welcome! ), we're grateful to have you here. To celebrate 15 years of gear reviews and the Trailspace community, we're giving away Trailspace Trail Runner Caps to two random commenters below sometime this week. Tell us what your favorite gear or gear advice is in the comments below to be entered. Thanks! Some of my favorite advice has been about where to find great deals on gear. I also really like reading reviews/getting advice from people who do activities like me just at a slightly higher skill/radness level, that way I know that the stuff I do with a particular piece of gear will work out. WOW! 15 years old, still a teenager but the best outdoor forum on the web! I have been a member since Oct 2008 and love to read the stories about others trips and post my own and read all the gear reviews and other mentionables here! Thanks for a great place to talk about the outdoors! 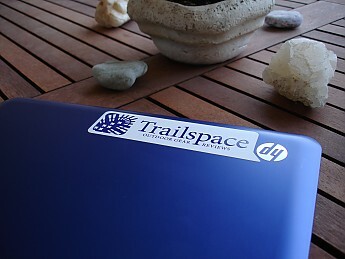 Happy birthday Trailspace. Glad to be a member of this fine community! Trailspace is what the Internet was invented for. I know the rest of the world thinks it is all about selfies and twaddling, but here we can exchange information with people we'd never otherwise meet. Whether it is in the form of reviews or here on the forum there are people talking about things I'd never know about let alone get to hear an expert pontificate upon without this site. I've learned about gear I didn't know existed and learned more about gear I thought I already knew pretty well. All that comes from the members here and we're all only here because of Alicia and Dave starting this place and keeping it running all these years. That is what I think is the best part of TS, the people who make it what it is. Gear is just statistics in a spreadsheet until someone takes it for a walk and finds out what its really all about. The folks who take the time to do reviews here give us the chance to learn from their experience before deciding where to spend our money on gear for ourselves. That being said, I have to go because it is raining and I have a rain jacket and skirt I want to test out this afternoon :) Happy BDay TS! Hmmm... 15 years since Dave and Alicia bought rec.climbing.useful and rec.backcountry.useful from the guys at VFTT who decided they didn't want to deal with all the real outdoors people. I was apparently the first official member, after the Macleay's opened Trailspace with the first two forums, Backcountry and Climbing, which still include the original VFTT postings if you dig back far enough into the archives. It was only a few days later that the first Trailspace gear reviews were posted, which became the main focus of Trailspace that it is today. Those original forums, rec.climbing.com and rec.backcountry.com, for those "newcomers", were the result of the UseNet climbing.com and backcountry.com, which had become a sort of "Wild West" (or maybe like the present-day Middle East). The Views From The Top (VFTT) crew created the "useful" forums to provide a useful and friendly forum for climbing and backpacking discussions, though most of their forums were focused on New England. This was because the VFTT crew were located in New England. But they got tired of all the posters from outside the New England area (from all over the world, in fact), so decided to shut the 2 non-New England forums down. Dave and Alicia stepped up and rescued the 2 forums, and the rest is history. Besides me, there were a few other people who had been on the VFTT forums and joined Trailspace. People come and go, of course. I believe I may also be the last of the originals, with Tom D being the second longest member (the People list used to include joining date). Thanks to everyone for the kind words and well wishes above! I really appreciate them, and all that each of you do and have done for the Trailspace community. Trailspace would be a pretty empty place without all of you. It's interesting to me how much Trailspace (and the internet and technology in general) have changed over the past 15 years. And yet, the entire premise of the site—outdoor gear reviews, advice, and discussion—remains the same thanks to our community members. FYI, over on our Facebook page Denis and Clayton/Gary were selected as two winners of Trailspace Trail Runner Caps. I'll choose two other commenters from this blog to win hats tomorrow (Thursday). Happy Birthday, Trailspace! I'm so glad I joined. This site and community have been truly wonderful to me! Happy 15th Trailspace. Keep up the good work. Great site, I love being a member! Many more Birthdays Trailspace. Happy Birthday and thanks for all the hard work and for being here. Congratulations! I'll send you each a PM to get your addresses. Congrats on 15 years. Great site for new hikers. congratulations on 15 years ! Late to the party here, but HAPPY BIRTHDAY! Here's to another 15 (at least) more years!